Listen to this episode of The World Nomads Podcast Guatemala to find out what not to wear on a volcano - rebuilding after a natural disaster - and using bitcoin to travel. Hike to the top of an active volcano, go wild swimming, or see toucans and howler monkeys on a boat trip. These are the best adventures in Guatemala. The most fascinating ancient sites to see in Guatemala, from the temples of Tikal to Mayan highland villages. How Safe are Guatemala’s Chicken Buses? Why do the locals use chicken buses in Central America, and just how safe is local transport for travelers? 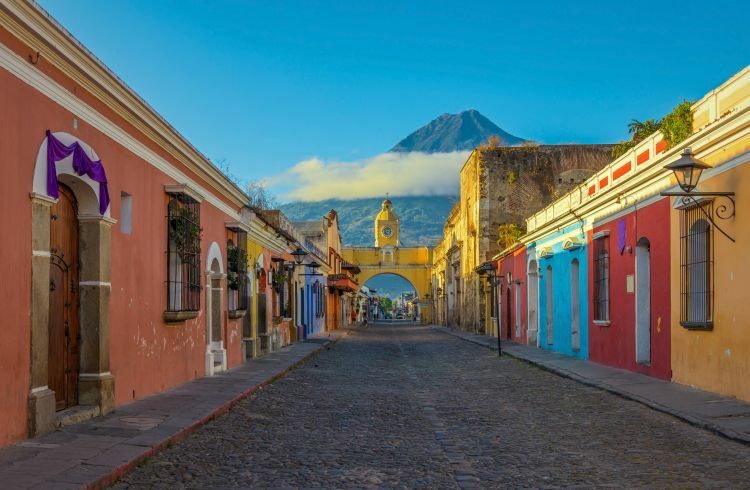 Here's how to get from A to B in Guatemala. If you want some good heavenly brownie points ahead of Christmas, there are few better ways than to help the Guatemalans burn the devil. On the 21st of December, the city of Chichicastenango look up to the skies as the dance of the palo volador (‘flying pole’) begins.